Logging of township land: Johnson Timber Harvesting gave a per cord price proposal to Freeman. The logging would be done next spring. After logging is completed and funds paid to the township, replanting will be discussed. Motion made and passed to approve contract. New tax assessor: Kerry Walsh from St. Louis County and Jan Jackson were present to each discuss their side to why Pequaywan should choose their service for the new tax assessor. They also discussed cons against the other and it was decided for St. Louis County to send the township and Jan Jackson a list of issues that the county has against the Jan Jackson company on their job performance. Those issues and rebuttal from Jan Jackson will be reviewed and decision made on a choice. Broadband/Internet: Citizen Helgen and Strom have completed the marketing info and survey to send out to all township residents and cabin owners as best can be done with email/address information they have. A request made from Strom to the township to help cover printing and postage expense around $50. Motion made and passed approving that request. Jean Duluth Road re-surfacing is to begin in August. A resident asked the township about any laws the township has on leashing/controlling dogs. The township cannot enforce any laws such as that. The resident asked if the township could obtain information from St. Louis County on their laws for leashing/controlling dogs. 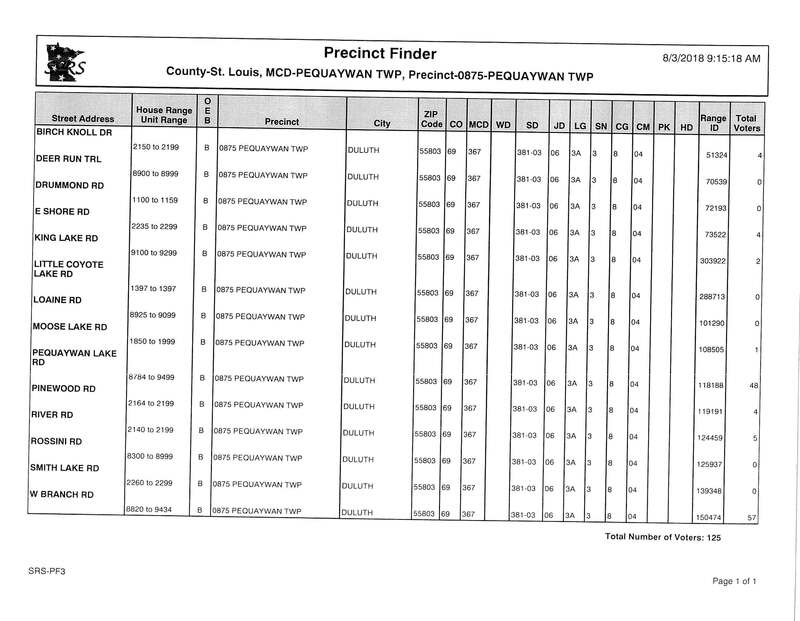 Freeman agreed to contact St. Louis County to see what information he could get.